We say the eyes are the window to the soul. One can gauge an individual’s health with a thorough gaze into this amazing organ. Eyes are also a window to the outside environment, and crucial to most animal species. Eye disorders are a regular part of veterinary practice, and homeopaths treat eye symptoms as part of the individual’s total symptom picture, or totality. Let’s consider how homeopathy is useful in treating some of the most common eye disorders seen in practice today, after this quick overview of homeopathy basics. 1. The Law of Similars states that any substance that produces symptoms in a healthy individual can cure the same symptoms in disease. For example, the watery nasal and ocular discharge of hay fever or a cold may respond well to Allium cepa, a remedy made from onions, because sliced raw onions cause similar symptoms (it may help any individual with watery ocular discharge). Another good example is parvo virus in puppies, with its characteristic nausea, vomiting, and foul liquid diarrhea, often helped by Arsenicum album, which causes the same syndrome in healthy individuals. 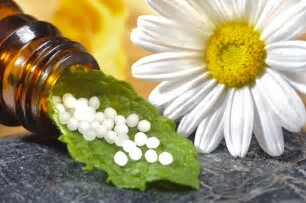 Symptoms are the body’s attempt to restore homeostasis, or balance, and the correct homeopathic remedy supports this process, rather than opposing it. Opposing symptoms or surgery often lead to suppression, forcing the natural disease deeper into the body. 2. Hering’s Law states that disease tends to develop in a certain direction, and leave in the opposite direction. All cure starts from within and moves out, from the head down, and in reverse order as the symptoms appeared, or were suppressed. This translates to symptoms moving from more vital to less vital organs, from the interior to exterior of the body (think skin), and from the top down (or head to tail in animals) as healing occurs. For the eye, a cure would move from a cataract to an ocular discharge. This direction of cure is universal, and happens regardless of the type of medicine doing the curing. 3. The Law of Dilution/Potentization states that repeated dilutions and succussions (forceable mixing) of remedies results in a greater strength of effect. A 6c potency is diluted 1:100 six times and succussed each time; the much more potent 200c is diluted 1:100 a total of 200 times with succussions. Quantum physics is shedding some light on possible explanations for this phenomenon, as is nanotechnology (see the two-part article “Homeopathy: a 200-year-old nanomedicine” by Shelly Epstein, DVM, CVH and Iris Bell, MD in the Summer and Fall 2013 issues of IVC Journal), and clinical experience confirms this law. These “opposite” treatments cause the disease to go deeper into the body, resulting in more serious eye problems. A good example are the “side effects” listed for steroid eye drops, which are actually the result of suppression – corneal ulcers, infections, cataracts, increased intraocular pressure, to name a few. This is also true in our veterinary patients, as antibiotic/steroid medications are the first line of allopathic treatments for most eye conditions seen in practice. How do we address some common veterinary ophthalmological conditions with homeopathy? Up to 90% of eye cases have some degree of this inflammatory symptom. 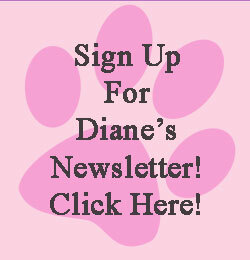 Many clients present an animal with eye discharge and want an antibiotic, fearing infection. However, true infections are rare. The ocular organs given the body a route of cleansing and detoxification (lacrimal system), along with the saliva, lungs, skin, gastrointestinal tract, urine, etc. The most common causes of conjunctivitis are poor diet, toxin accumulation from vaccinations (vaccinosis), GI imbalance, and possibly tight dog collars (harnesses improve many health conditions). Bathing the eye with soothing solutions can be taught to clients. · Saline: ¼ teaspoon salt in one cup clean, distilled water. · In severe cases, add up to ten drops per cup of water of one of the following herbal tinctures: goldenseal, euphrasia, calendula or hypericum. These are common, and often a sequel to conjunctivitis, ranging in severity from superficial to deep, or even indolent. 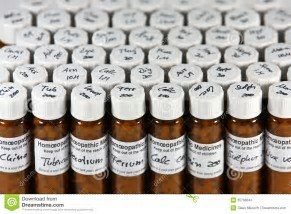 Some cases respond well to homeopathic treatment, especially when the total symptoms shown by the individual are included. Dr. Compton Burnett, a British homeopath in the late 1800s,2 used various remedies, depending on the patient’s symptom totality, and had good success with many cases. He also describes five cured cases in his wonderful book, Fifty Reasons for Being a Homeopath. Dr. Richard Pitcairn3 lists the following remedies as useful for cataract treatment: Conium (especially indicated in cataract following eye trauma, and in older patients), Silicea, Pulsatilla, Sulphur and Euphrasia. The healing responses of many eye cases I’ve treated since I began to practice homeopathy encourage me to use this modality first when presented with eye issues. Eye problems often appear to be isolated from the rest of the body, but must be seen holistically to choose a successful prescription. In November 2012, a specialist diagnosed an herpetic keratitis in the right eye of an 11-year-old Siamese mix named Emma Morse, which had progressed into an indolent ulcer. He recommended surgery to repair it, and dispensed topical and oral antibiotics. Dr. Jennifer Ramelmeier prescribed Hepar sulphuris calcareum 1M to be given QD on November 17, 18 and 19 because of the severe pain and ulceration. On recheck on December 3, the ophthalmologist reported the cat had improved signiﬁcantly so surgery was no longer needed. A second prescription of one dose of Hepar sulph 10M was administered once, and by January 14 the ulcer was healed. There was a small milky spot remaining. Haleakala is a Rocky Mountain Mare. Born in December of 1994, she had been a brood mare before being purchased in September 2005. She had multiple (12) vaccines between October 2005 and May 2007 (at which time her owner stopped vaccinating). She had a hoof abscess in March 2008. Ocular pain, eyelid swelling and mild scleral injection were noted in the left eye on April 17 of 2008. The local vet made a diagnosis of uveitis and administered Banamine and a topical antibiotic eye ointment. Symptoms recurred on May 25, again in the left eye. This time the vet administered an intravenous steroid and prescribed a topical antibiotic/steroid ointment. When her owner contacted me on June 9, mild conjunctivitis and squinting were still present in Haleakala’s left eye. She also had early cataract development in the right eye. Her owner described her as a mild-mannered horse, sensitive and responsive when ridden. She liked to be brushed and petted. Though she had been a good mother, she seemed unattached to the other horses on the property. My assessment was that this was a manifestation of vaccinosis. Drugs temporarily covered up the eye symptoms, but had not resolved the underlying vital force imbalance that continued to generate this symptom. Silica 30c was prescribed to be given once, based on the symptoms of uveitis, the cataract, the suspected role of vaccination, the history of a hoof abscess and the mildness of Haleakala’s nature. We discontinued the eye ointment. A complete resolution of her ocular symptoms occurred within one week after administering the single dose of homeopathic medicine. Her owner also noted that her coat looked better. The uveitis returned in 2010 in the same eye and resolved with one dose of Silicea. The same thing happened again the following year (2011), but the disease never progressed to pathology. During that period, I treated her with Sulphur to resolve a hoof abscess. I was unable to continue prescribing to completely cure Haleakala, because the owner decided to treat the mare herself when the eye inflammation recurred in 2013. 2Burnett, J. Compton. Cataract: Its nature, causes, prevention, and cure. 1889.